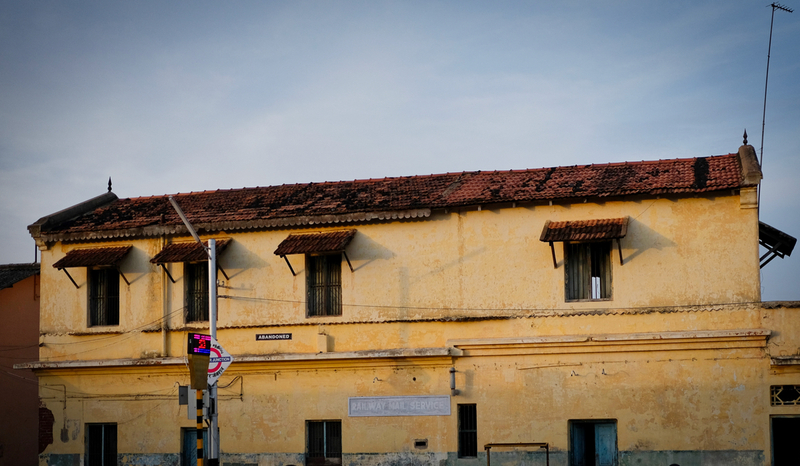 Early morning light on an abandoned, beautiful old building at the Thanjavur railway stations. Across the country, thousands of such buildings either lay abandoned or are demolished to make way for concerete monstrosities. All the talk of heritage and history remains just that – talk.